"Bolt on" Proportion Valve option - Miata Turbo Forum - Boost cars, acquire cats. Came across this looking for any possible "Bolt on" valve options. I have a Wilwood valve on my NA but wanted to eliminate required adapters if possible. What’s wrong with the adapters? FM sells the whole enchilada. Nothing wrong with the adapters, but less adapters = less possibility of leakage. More potential leaks, looks crappy, more weight, more expense. This valve also provides a higher range of adjustability. Wilwood sells one now that is M10x1 so no adapters needed anymore with that one either by the looks of it. That one has a bubble flare, while Miatas have an inverted flare. The threads match but the flares don't, so it will not work. They do make this one with 3/8 IF ports. If you're using short lengths of NiCopp lines to patch the prop valve in, it at least lets you avoid NPT. Good point. I've got the SAE Wilwood I've had sitting around I've not put on yet. I've got my car all apart and just went and looked at the NIB 929 1" master cylinder I was going to put in with it and just noticed the rear port is inverted flare and the front looks like a bubble. WTF??? Why would Mazda mix them on a master cylinder? Maybe there was another fitting that screwed in there on the 929's. I'm glad you mentioned that and made me look. I'll have to go read some of the 929 master cylinder posts and see if that was normal and I just forgot about it. Anyways, sorry not trying to thread jack...…. 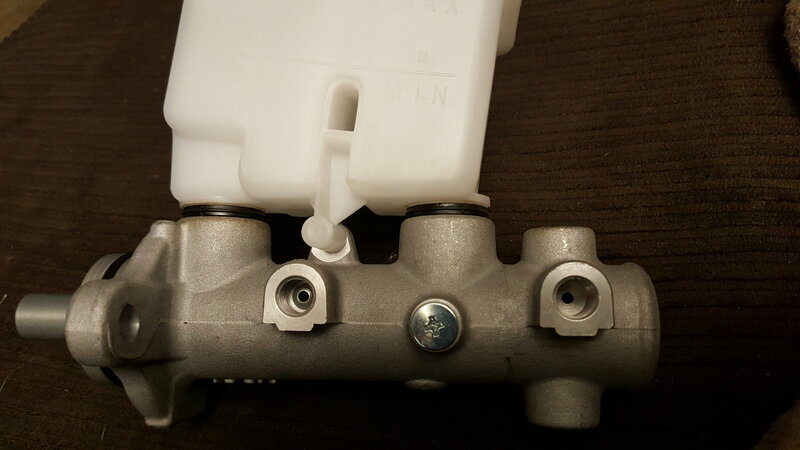 just went and looked at the NIB 929 1" master cylinder I was going to put in with it and just noticed the rear port is inverted flare and the front looks like a bubble. WTF??? The front port on a 929 master is meant for use with a crush washer / banjo bolt, not a flare connection. Now that you mention that I do remember that and had meant to pick one up since it didn't come with it. I better find one before I forget again...……..
Yeah and the OEM two-female-inverted-flare-to-one-banjo T fitting is unobtanium. Ask me how i know. Luckily I've got factory ABS so I think I only need the single. Just checked and Mazda still has those available if I want the factory part. I need to quit dicking around and get this thing done before I forget how everything works. We have yet to find a need for more range than the Wilwood valve offers. Indeed, if a driver/mechanic ever needs to run the valve all the way closed, there is generally a mismatch in the brake system that needs to be dealt with. A prop valve only caps peak line pressure. It does not affect bias at lower line pressures. So if you need your prop valve maxed at either extreme, your brake bias at low line pressures (trail braking) will by definition, be way off. An inline prop valve is a tool to fine tune straight line threshold braking balance, not a cure for a mismatched brake system. The valve kit for the Toyota has a single adapter per line, the line not directly attached to the valve. 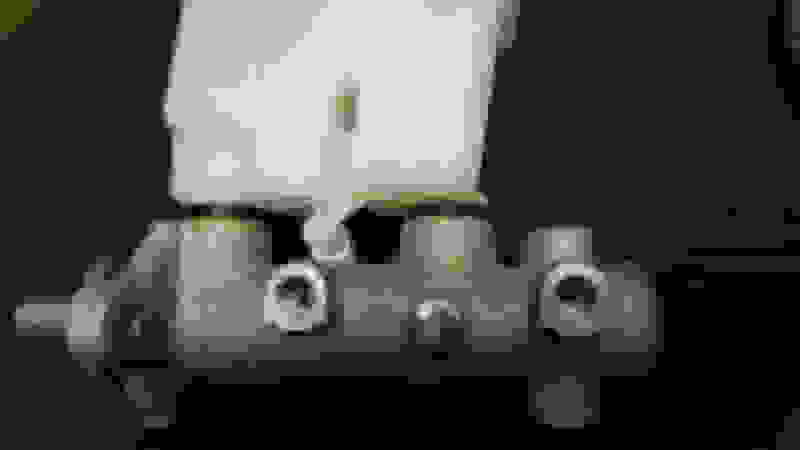 Our valve also has one adapter per line, to convert the inverted metric flare to the 1/8NPT on the valve. What bolt is the right bolt. "punching down", "check your privilege", and "trigger warning". "Ello","did you say hello?". "No, I said 'ello', but close enough".